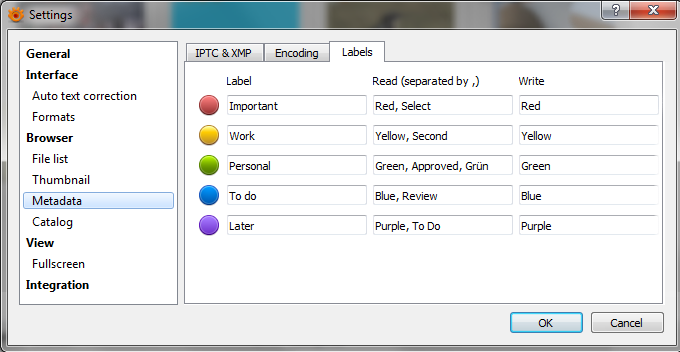 When reading metadata while import, XnViewMP can read xmp:label . 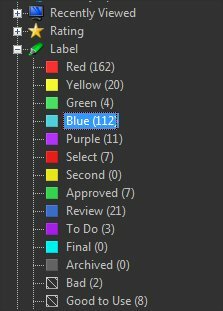 Could you implement a new method of import color labels, with a user defined list of equivalent values ? currently we have Settings>Metadata>Labels only used as displayed info. I tried v0.93 beta version for color labels. I tried multiple configurations, and it works fine . Great job ! (purple, later, todo, * ) , so if black, grey, orange or anything else was read, purple label will be used instead. Digikam uses numeric values : Red=1, Orange=2, Yellow=3, Green= 4, Blue=5, Magenta(purple? )=6, Grey=7, Black=8, White=9. I don't know if it's useful , but it seems possible, I found no restrictions in xmp docs. Please explain me more your issue?